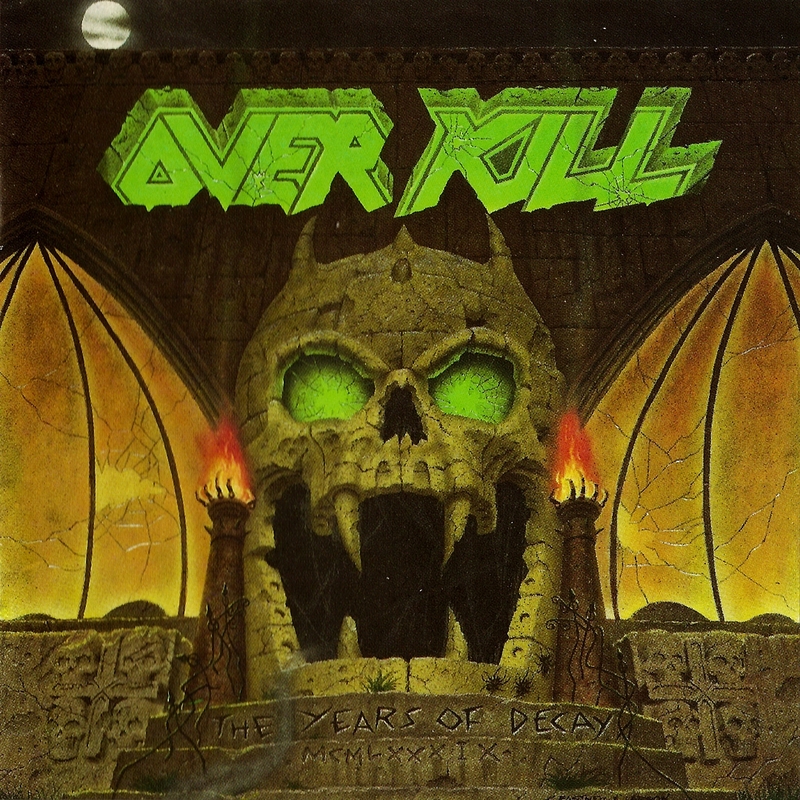 The final Overkill disc to feature guitarist Bobby Gustafson, this 1989 recording is considered a classic by the group's fans, and is often mentioned as the pinnacle of the East Coast thrashers' recording career. Casual Overkill listeners will only be able to discern subtle differences between The Years of Decay and earlier efforts, but there is no doubt that the group consistently refined their sound during the '80s, offering successive improvements on each of their first four releases. Famed metal producer Terry Date does a fine job dealing with the instrumental overkill, allowing the tight, but still raucous performances to shine. Typically similar with one another, it is hard to pick standout tracks, but the grinding "Playing With Fire/Skullcrusher" is a minor highlight, with its dynamic structure and above average lyrics. 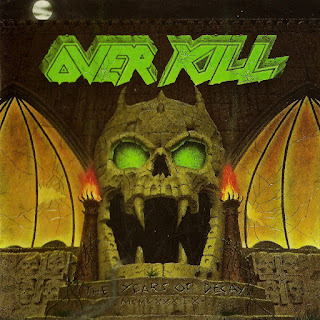 As usual, vocalist Bobby "Blitz" Ellsworth's impersonation of a 33 rpm Udo album cranked up to 78 severely detracts from Overkill's violent mix of tight guitars and drums. This same problem plagues many Overkill recordings, however, so like most of the band's catalog, this record is a bit of an acquired taste. Recommended strongly to longtime fans of the group, The Years of Decay is one of Overkill's most satisfying efforts.